Plain English – Why do we care so much about privacy? We are a values-driven company that helps with decisions at work. Many of these decisions are sensitive and involve private information. In order for us to help you, we have to earn and keep your trust. For you to trust us, we have to keep your information private and confidential. So it is not just the law that compels us to protect your privacy, it is also core to our values and our service. Plain English – What you should know about the risks of using Cloverpop and how we reduce them. We ask a lot of questions about your decisions. By policy and through technology described below, we protect that information and do not share it with any third parties without your explicit consent. We encourage you to invite colleagues to weigh in on your decisions. Cloverpop is a collaborative app that depends in large part on teams of stakeholders weighing in with their perspectives. In order to maintain your privacy when you invite colleagues to weigh in on decisions, we only allow people to see decisions that: (1) they were specifically invited to weigh in on, or (2) are made by Teams that they are Members of. That also means that if you invite a colleague to one of your decisions, or make a decision on a Team that then they are Members of, they will know that you are the person making the decision, will be able to see certain information about that specific decision, and will know the identity and opinions of other colleagues who have also weighed in on it. We analyze and publish aggregate information about the decisions in our Database. By policy and through technology described below, we protect that information and do not associate it with any information that could identify you, your company or specific information about your decisions. We encourage you to ask us questions and give feedback via our customer support site. When you contact us via chat or email, we will know who you are and will ask questions as needed to respond to any concerns or feedback you give. Information from such inquiries is kept private unless you give us explicit permission to share it. We encourage you to tell other people about Cloverpop. We post nothing about your decisions to Facebook, LinkedIn, Google+ or other social media services. But if you love your Cloverpop experience, we want to you tell everyone else about it. What you say is up to you. Customer Relations Data: We collect information such as name, work email, company, department, company size and phone number on our marketing site in order to initialize customer relationships, deliver whitepapers, schedule demos and other customer relationship building interactions. Customer Data: We collect information when you sign up for the Subscription Service, engage in a transaction, subscribe to communications from us, respond to a survey, fill out a form, engage with us for customer support, or use the Subscription Service. When using our site, registering on our site, or purchasing Subscription Services , as appropriate, you may be asked to enter information including (without limitation): name, e-mail address, gender, birthday, text boxes, questionnaire responses, location, phone number or credit card information. To provide the Subscription Service to you – it is the nature of the app to collect information about your decisions, use that information to help you analyze and communicate about your decision, and provide a service based on the information you provide. To improve our understanding of decisions – we are building the world’s largest database of business decisions, and using that information to improve the Cloverpop Subscription Service, provide data for scientific research and help you make such decisions more wisely. To improve our website experience – we continually strive to improve our website offerings based on the information and feedback we receive from you. To improve customer service – your information helps us to more effectively respond to any problems you find or needs you may have. To process transactions – your information will not be sold, exchanged, transferred, or given to any other company for any reason whatsoever, without your consent, other than for the express purpose of delivering the purchased product or service requested. To send periodic emails – the email address you provide when registering to use the Subscription Service may be used to send you information about your use of the Subscription Service and updates pertaining to any transactions on the site, in addition to receiving occasional company news, updates, related product or service information, etc. Note: If at any time you would like to unsubscribe from receiving emails that are not required in the course of providing the Cloverpop service, just let us know by replying to an email, or using the unsubscribe instructions at the bottom of an email. We implement a variety of security measures to maintain the safety of your personal information when you enter, submit, or access your personal information or complete a transaction. You may invite other people to weigh in on your decisions. Those people must verify their identity by demonstrating they own the email address you used when you invited them. There is no public view of Cloverpop Users or their decision information. We use a secure server. All supplied sensitive information is transmitted via Secure Socket Layer (SSL) technology and then protected in our Database to be only accessed by those authorized with special access rights to our systems, who are required to keep the information confidential. Private financial information (credit cards, social security numbers, financials, etc.) is not stored on our servers after a transaction. If you believe your information has been compromised in any way, please contact our Data Protection Officer immediately at privacy@cloverpop.com. If we detect a data breach we will follow the notification guidelines established by the General Data Protection Regulation (GDPR) and may notify you depending on the nature of the breach. Our website may use “cookies,” which store many types of data, to make your experience easier and more enjoyable. You may set your browser to refuse these cookies by seeing the help section of your browser. We work with third parties for purposes of conversion tracking your clicks from our advertisements and social media posts on other websites, including storing and accessing cookies. Specifically, you may opt out of Twitter's interest-based advertising here and LinkedIn's website demographics here. We do not sell, trade, or otherwise transfer to outside parties your personally identifiable information without your explicit consent in each case. This does not include trusted third parties who help us in operating our website, conducting our business, or servicing you, so long as those parties agree to keep this information confidential. If we use or share other information, it will not include personally identifying information. We may also release your information when we believe release is appropriate to comply with the law, enforce our site policies, or protect ours or others rights, property, or safety. However, non-personally identifiable visitor information may be provided in aggregate to other parties for scientific or academic research or other uses. In addition, as we develop our business, we might sell or buy businesses or assets. In the event of a corporate sale, merger, reorganization, dissolution or similar event, personally identifiable information may be part of the transferred assets. Occasionally, at our discretion, we may include or offer third-party products or services on our website or blog. These third-party sites have separate and independent privacy policies. We therefore have no responsibility or liability for the content and activities of these linked sites. Nonetheless, we seek to protect the integrity of our site and welcome any feedback about these sites. As part of the California Online Privacy Protection Act, all users of our service who create a personal profile may make any changes to their information at anytime by logging in at cloverpop.com. We are in compliance with the requirements of COPPA (Children’s Online Privacy Protection Act), we do not collect any information from anyone under 13 years of age. Our website, products and services are all directed to people who are at least 13 years old, and are generally used by adult business people in management positions. If you are an authorized user of a the Subscription Service you can update your Customer Data on the user profile page of the product. If you submitted data through our marketing site (see Customer Relations Data) and would like to update, delete or receive a copy of that data please contact privacy@cloverpop.com. You can review our Customer Terms of Service at https://www.cloverpop.com/terms-of-service. 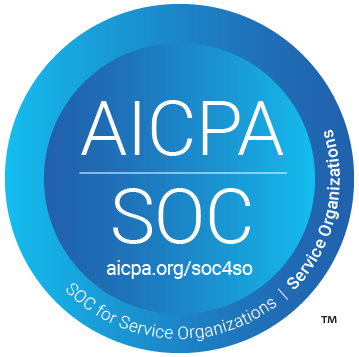 The Cloverpop service is SOC2 compliant. A current audited report is available for prospective customers upon request.